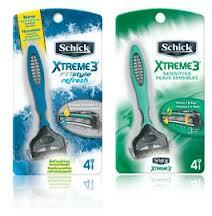 Get ready to SCORE BIG with these NEW coupons from Schick. Razors are one thing that you can NEVER have enough of in your stockpile. So, stock up with HIGH VALUE coupons and the right sale. Print your coupons and be ready to snag the HOTTEST deal. We'll keep you posted! To print the coupons that you want, simply CLICK on it and PRINT.